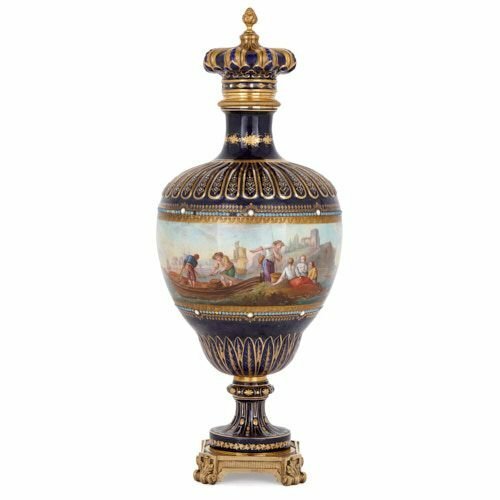 With its beautiful painting of fishermen and fine parcel gilt and jewelled decoration, this Sèvres style vase is a truly unique work of decorative art. The vase is of baluster form, with a slim foot and neck and a bulbous ovoid body. 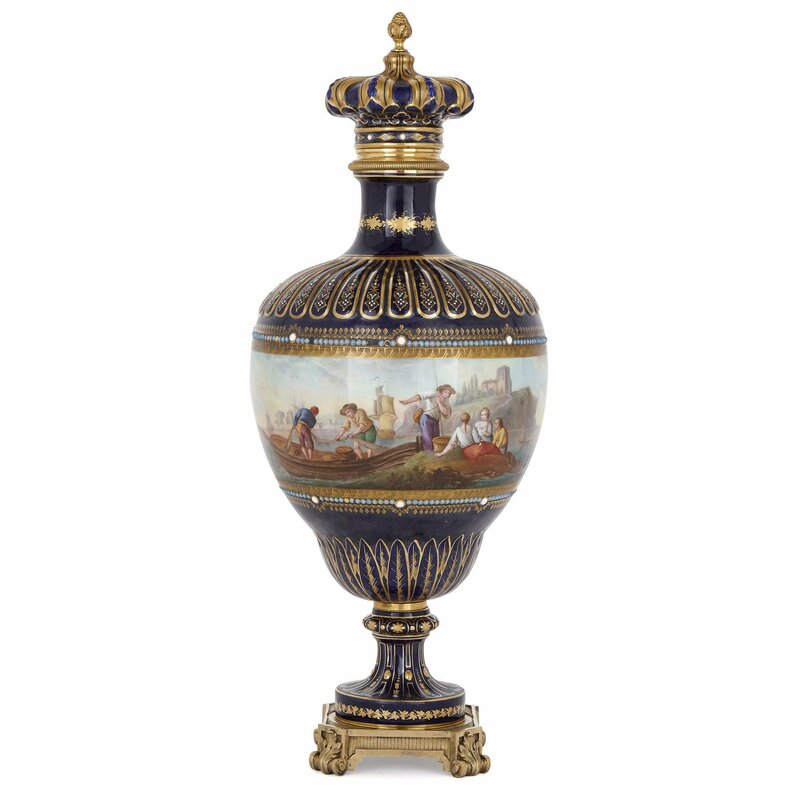 The porcelain vase is placed on a square ormolu (gilt bronze) base, which is set on four scrolled acanthus leaf feet. 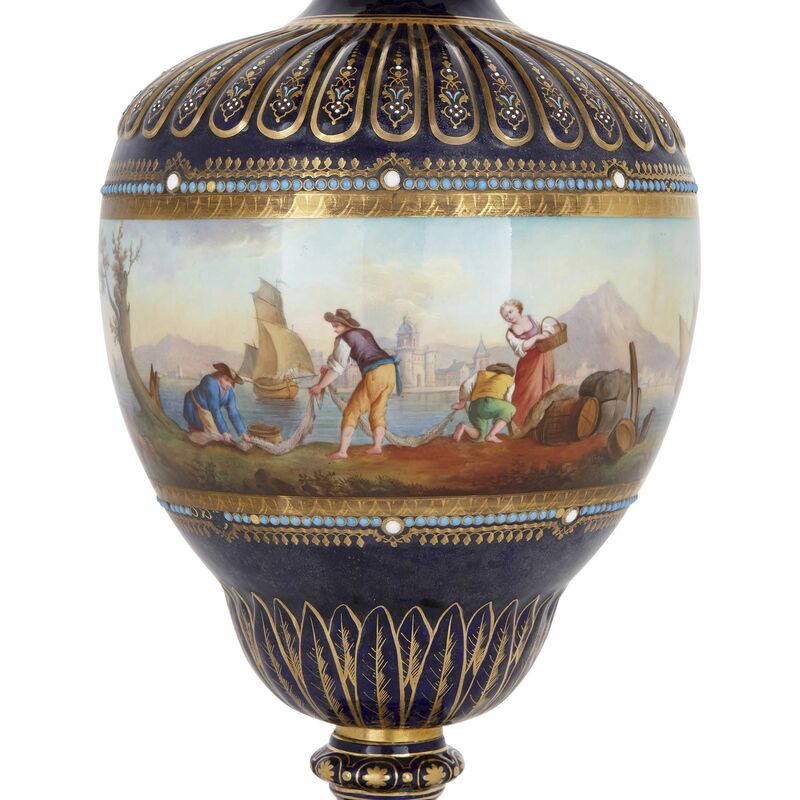 The vase’s splayed foot and lower body are painted a deep blue ('bleu Sèvres') colour, and finely decorated with parcel gilt fluting and foliate motifs. A continous painting depicting two men standing on a wooden boat and emptying their nets of fish encircles the vase’s body. The fishermen are accompanied by a group of figures, including two young women, who recline on a nearby island. Buildings are visible on land in the distance, as well as sailing boats on the water. 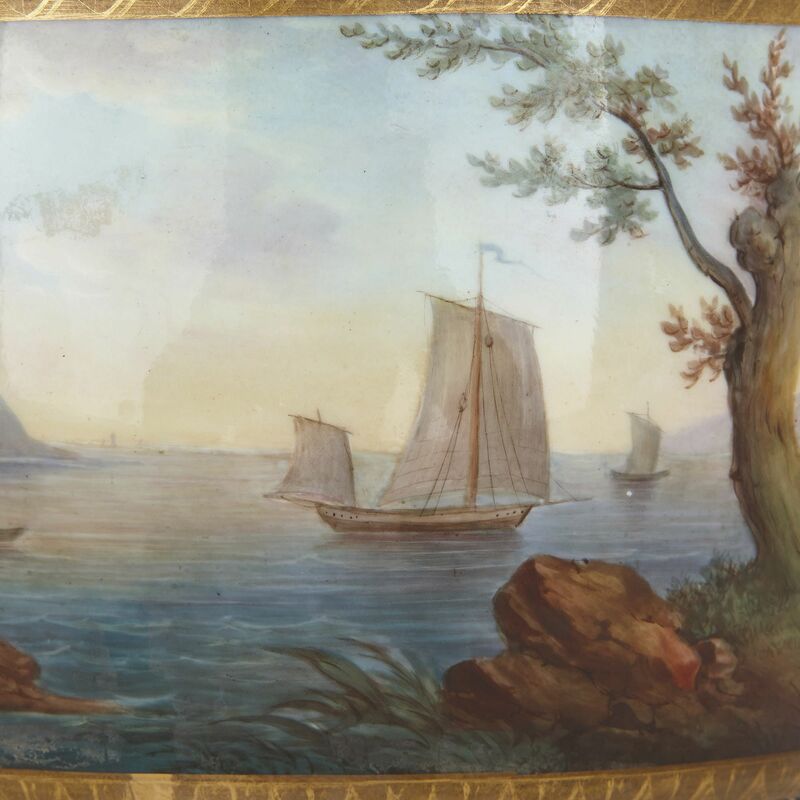 This painting is set within a parcel gilt frame, edged with light blue and white jewelled decoration. 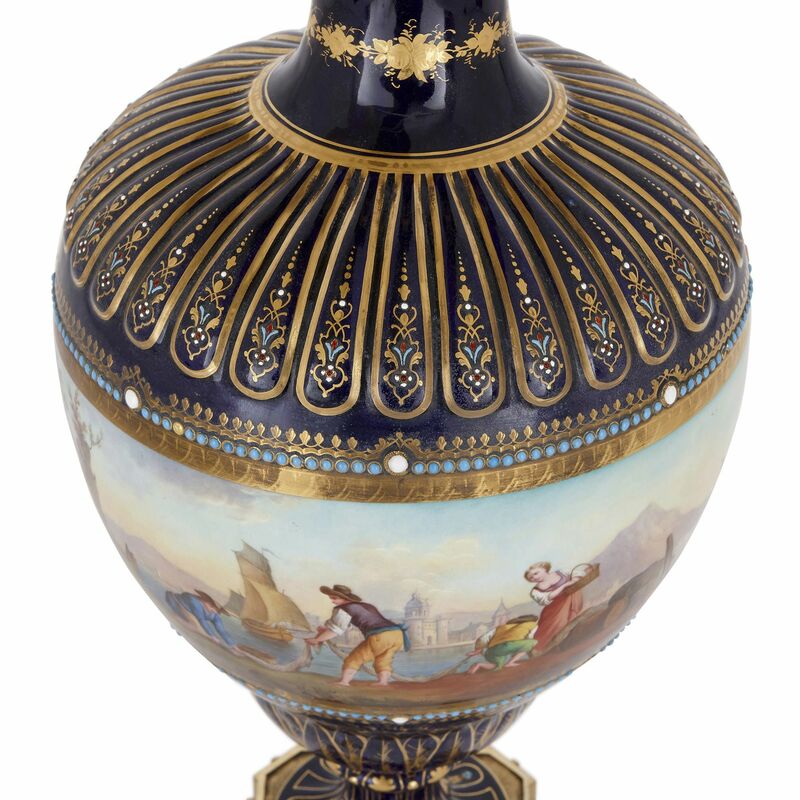 The vase’s deep blue upper body is gadrooned, the scalloped forms outlined with gilding and filled in with parcel gilt and jewelled foliate patterns. 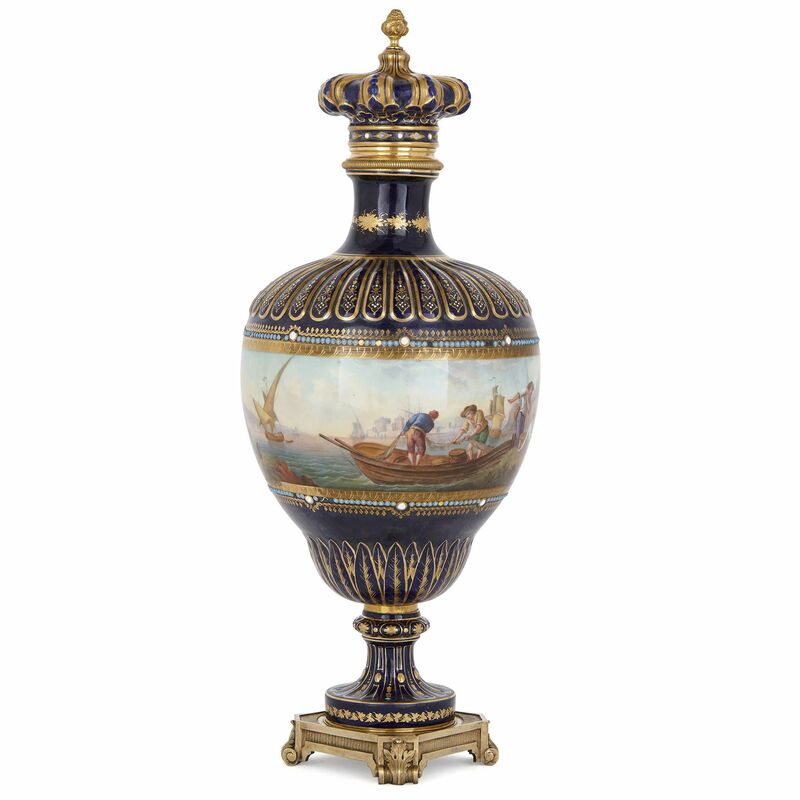 The vase’s blue neck is encircled by a parcel gilt floral band, and its mouth edged with ormolu. 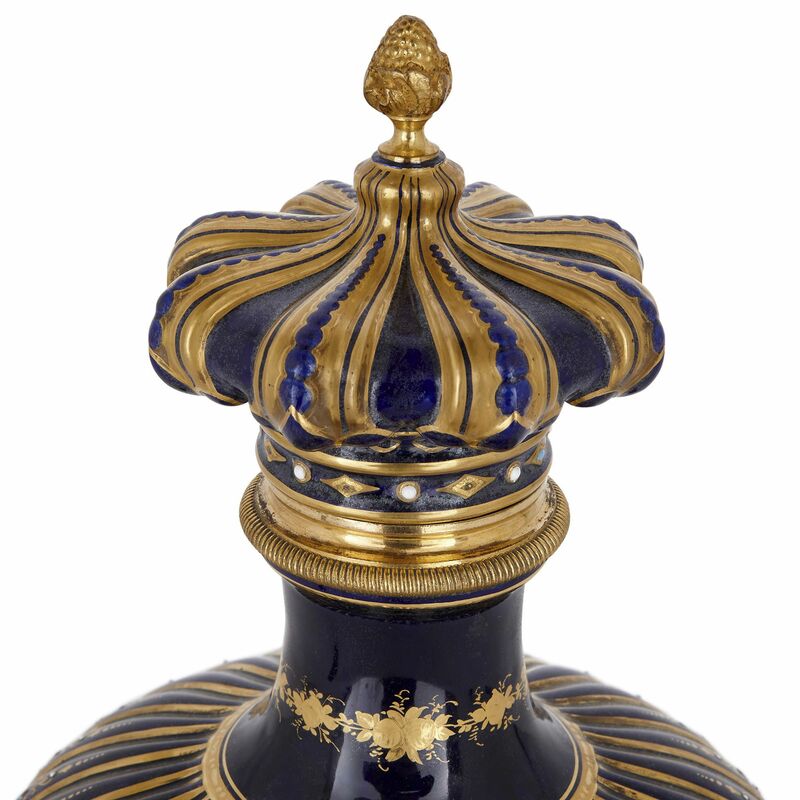 This is topped by a lid which is shaped like a crown, with an ormolu pinecone finial.